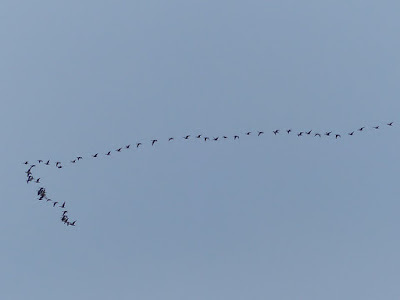 Migration watch; 07.45 - 10.00hrs. On the move (south unless stated) were 2 Red-throated Diver + 4 north, 2 Fulmar, 24 Gannet, 4 Cormorant + 9 north, 30 Black-headed Gull, 388 Common Gull, 142 Herring Gull including 4 argentatus, 39 Great Black-backed Gull and 9 Auk sp + 2 north. An adult Little Gull was on Star Carr, in Cornelian Bay there were 4 Grey Plover, 2 Knot and 5 Ringed Plover. Harwood Dale Lake held 10 Goosander, 11 Teal, 3 Mandarin, 1 Pintail, 1 Shoveler and 1 Wigeon. Two Black-necked Grebe were in the Harbour, 3 Pink-footed Geese were on Ruston Carr, an adult Mediterranean Gull, 25 Gadwall and 3 Shoveler were on Seamer Tip and a Goosander was on Peasholm Park. Migration watch; 08.05 - 13.00hrs. On the move (south unless stated) were 1 Red-throated Diver + 2 north, 4 Fulmar + 8 north, 45 Gannet + 10 north, 1 Cormorant + 1 north, 1 Shag, 505 Pink-footed Geese north, 11 White-fronted Geese at 10.15hrs, 8 Canada Geese, 4 Mallard, 5 Black-headed Gull + 6 north, 8 Common Gull + 9 north 184 Herring Gull including 1 argentatus, 38 Great Black-backed Gull and 1 Auk sp + 2 north. Present at Long Nab were 9 Skylark, 19 Meadow Pipit, 35 Linnet and 2 Lapland Bunting. 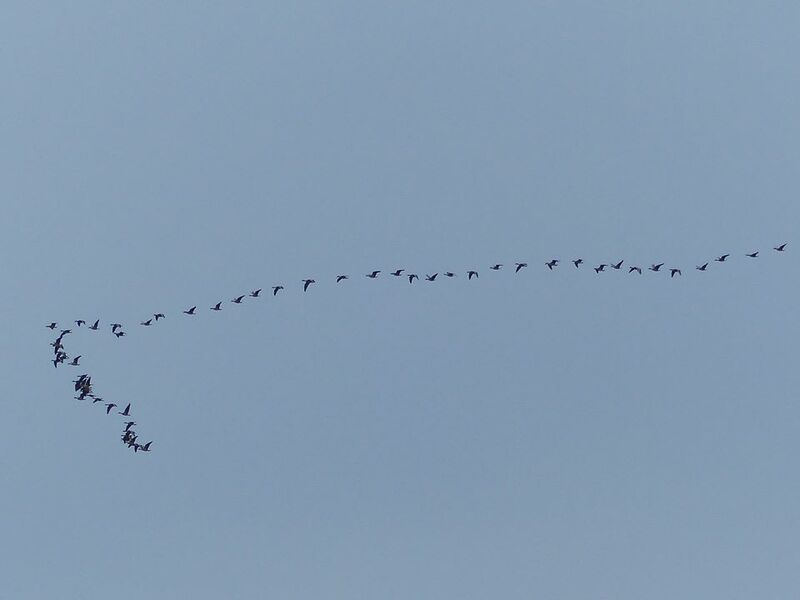 A Red Kite was seen over Yeddingham at 08.10hrs, 5 Tundra Bean Geese flew southwest over Burton Riggs at 08.20hrs, 200 Pink-footed Geese flew north over Taylor Way, 2 White-fronted Geese, 4 Pink-footed Geese, 2 Barnacle Geese and 4 Goosander were on Harwood Dale Lake, 29 Whooper and 25 Mute Swan were on Wykeham Ings, the Goosander was on Peasholm Park, a Lesser Black-backed Gull was at Scalby Mills, 6 Goldeneye, 3 Pochard and 6 Great Crested Grebe were on Wykeham South Lake and at Low Marishes there were 1100 Golden Plover, 600 Lapwing and a Pintail.